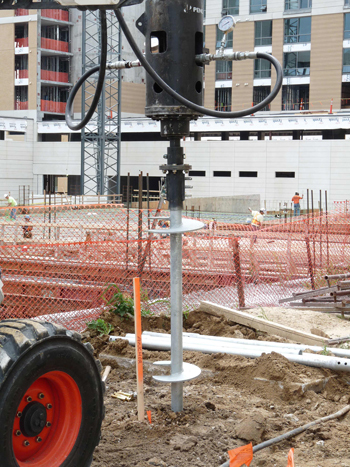 At Arizona Foundation Solutions, we can create long lasting, high-quality stabilization for commercial construction projects of any shape and size. Call or contact us to find out more about technical information, pricing, and product availability for sustained structural support. 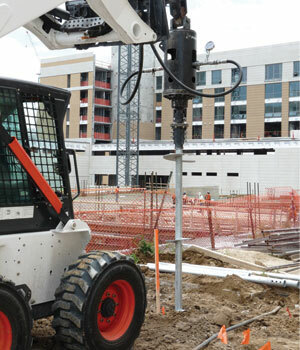 We are a member of the nation’s largest foundation repair contractor network, Supportworks, Inc., which provides an extensive selection of foundation products for the repair of existing structures, in addition to end-bearing deep foundations that can be applied to new construction. 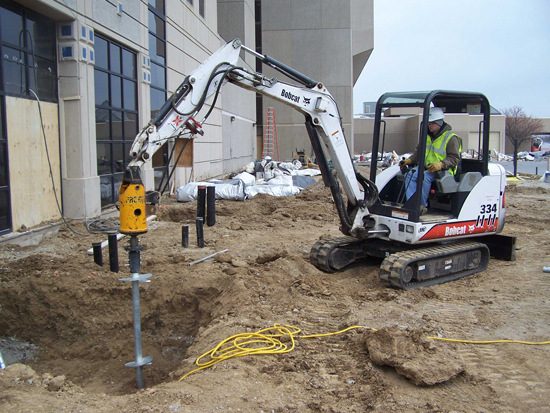 As Arizona’s source for commercial foundation support, we are highly trained and skilled in all manner of projects, including municipal, government, residential, and commercial buildings. Call or contact us today to learn more about our services. 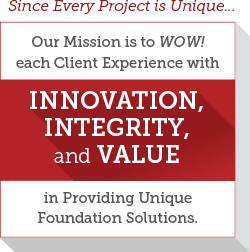 Supportworks, Inc. consists of an international network of foundation repair contractors in the United States and Canada. Every Supportworks dealership receives training at one of the two international headquarters, either in Seymour, CT or Omaha, Nebraska, USA. The Supportworks Contractor Network focuses on three main principles: service, quality, and integrity. 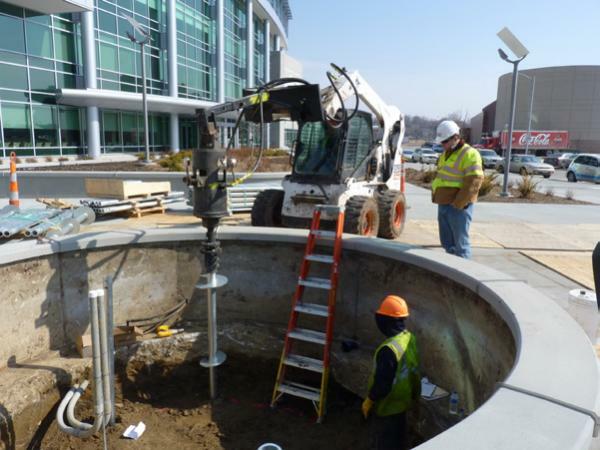 In order to maintain this creed, Supportworks has structural and geotechnical engineers to assist with quality assurance and product design. These skilled engineers also make themselves available for dealer support, ensuring that local dealers have expert advice for their residential and commercial projects, such as product design and capacity. Supportworks' manufacturing plants meet ISO 9001 guidelines and the Canadian Welding Bureau approves all facilities. Each galvanized steel product is manufactured in compliance with ASTM A123 and ASTM A153 standards for hot-dip zinc coatings. Each product receives routine spot checks from engineers to ensure quality and precision. The Supportworks dealer network upholds conservative testing procedures and standards, and as such our specifiers and design engineers sustain realistic expectations concerning product functionality in the field. We also make certain to follow design and testing standards, like ICC Acceptance Criteria 358, wherever they may exist, and we ensure that our products are in compliance. If an area does not have standards in place, Supportworks is committed to providing the appropriate tests to ensure realistic product capacities. 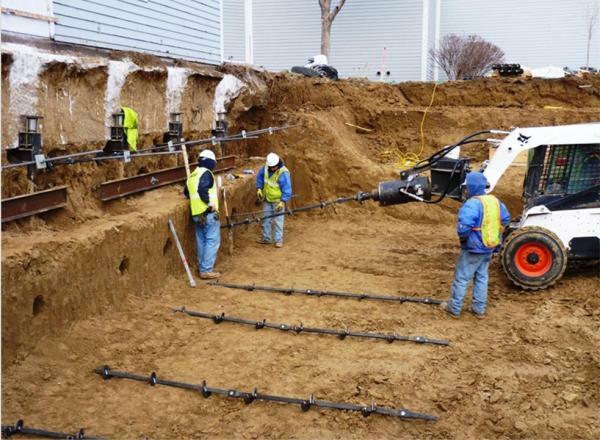 We strive to create advanced solutions for foundation repair that perform as intended, professionally installed, and appropriately tested. Call or contact Supportworks by Arizona Foundation Solutions to schedule a free inspection, or to find out more about pricing, product availability, and technical information.